Home / News / USUE-SINH MOVES FORWARD! 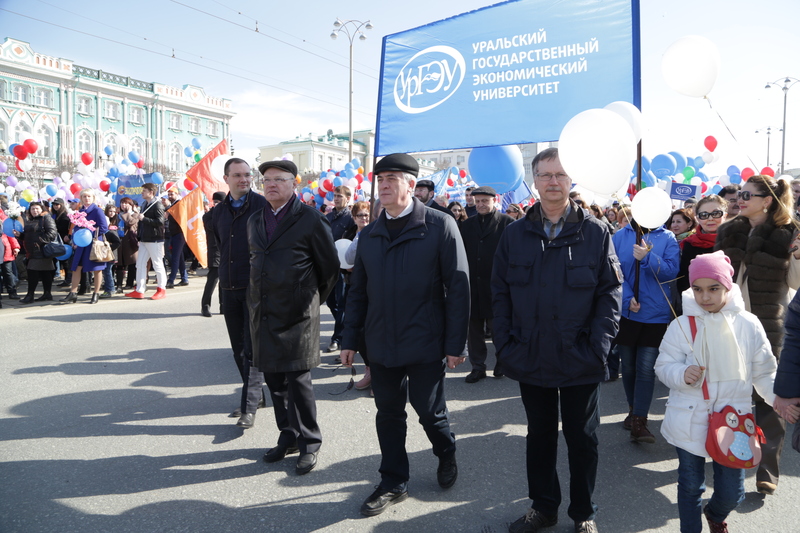 The USUE staff together with the employees of large industrial, cultural and transport enterprises, educational institutions, and housing and communal services went to the festive procession dedicated to May 1. The column was headed by the Rector of the University Yakov Silin, Vice Rectors and directors of institutes. 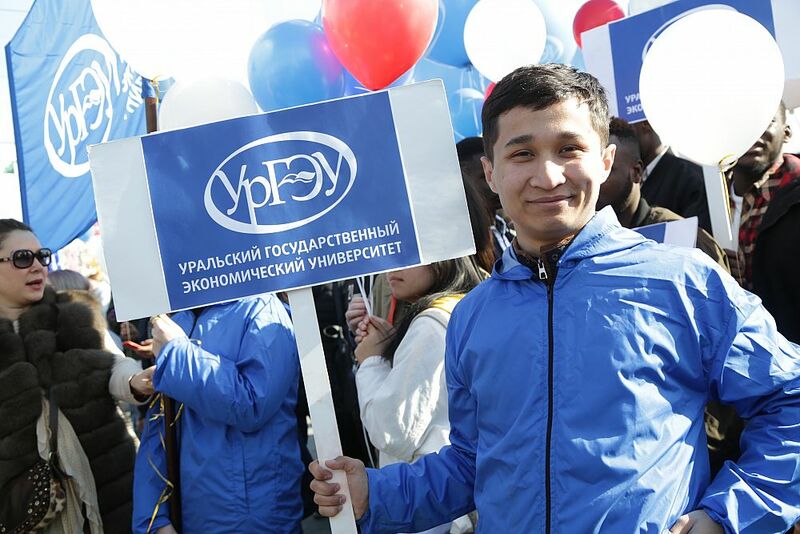 Foreign students studying at the University also joined the ranks of USUE. 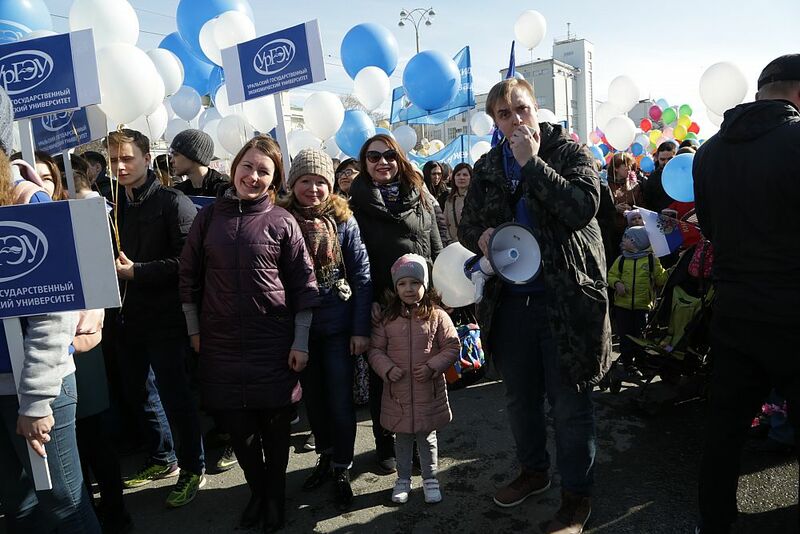 The students, teachers and employees came with banners, blue balloons, and merry screamers: "One for all, and all for SINH! ", "USUE-SYNH goes ahead - the unconquerable Rector is at the head! 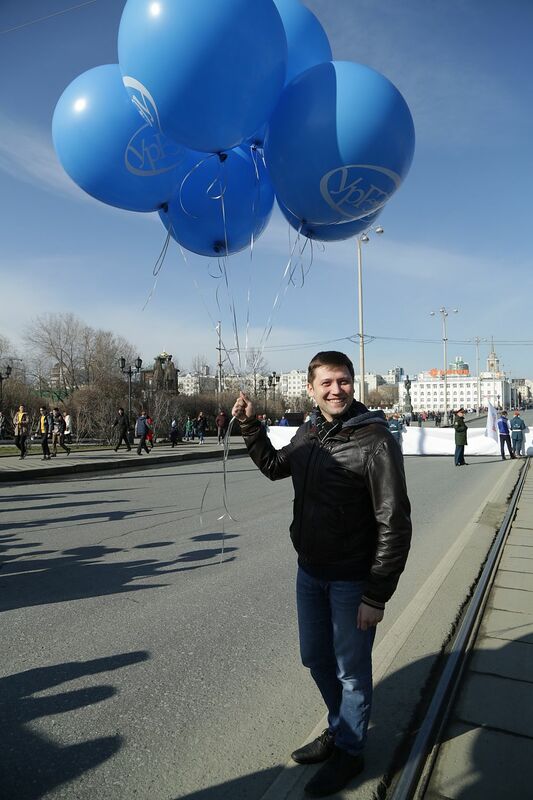 ", “Ural Economic is the most fantastic! "," You would see no better university than USUE! " Some came with their families to celebrate the Spring and Labor Day. 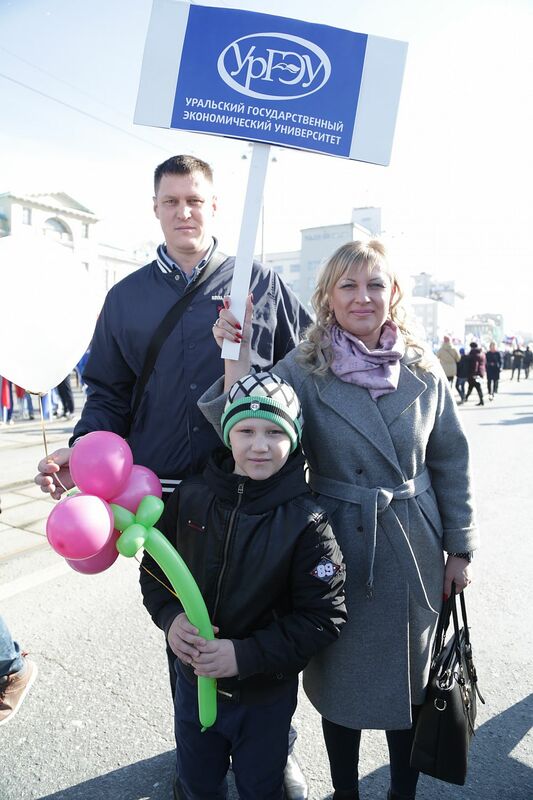 For example, the director of the Institute for Continuing Education Ekaterina Yalunina annually participates in the May Day demonstrations with her family. 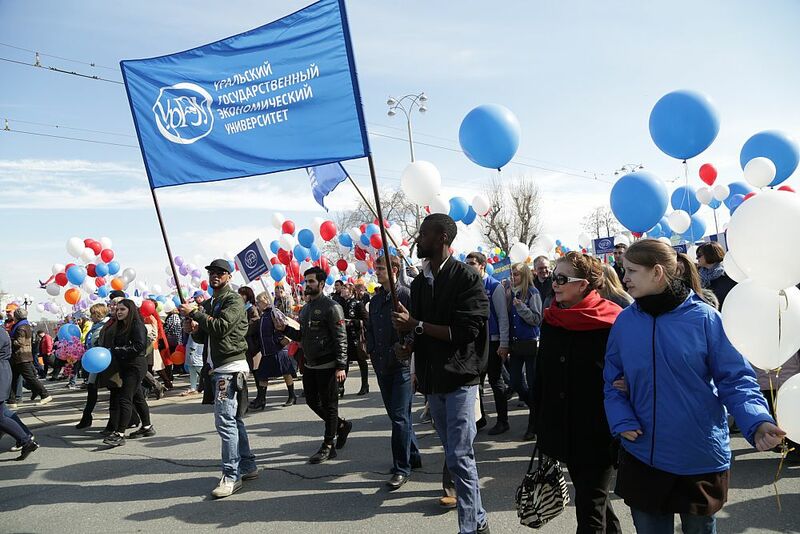 “Mayday shows how much the citizens of Russia are united. 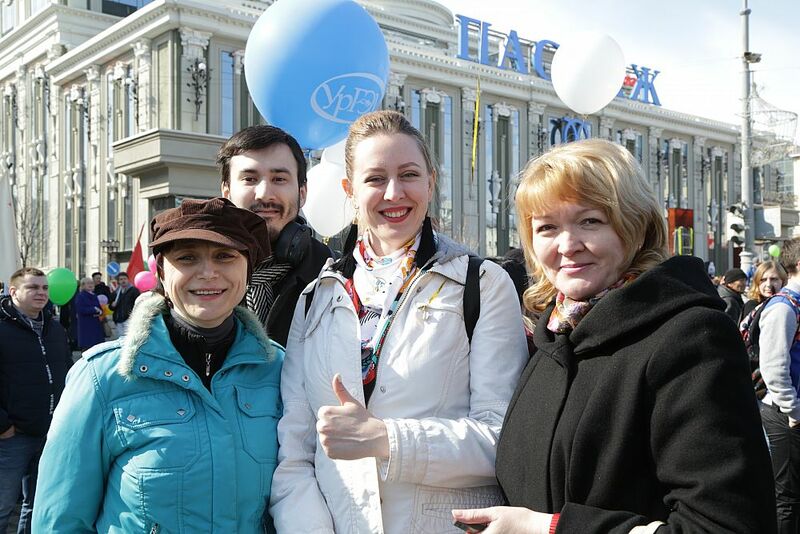 We are glad to represent Ural State University of Economics, and to demonstrate our unity - the unity in the ranks, the unity of goals that we are able to translate into reality , and youthfulness in order to continue working, " Ms.Yalunina said . 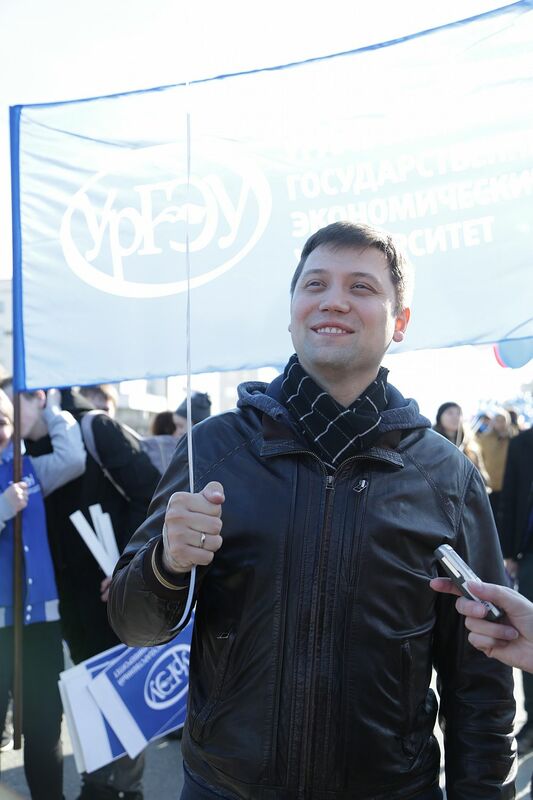 Other participants of the May Day demonstration also shared their impressions. "May 1 is a good opportunity to walk around the city, admire its beauties, and enjoy the spring sun. 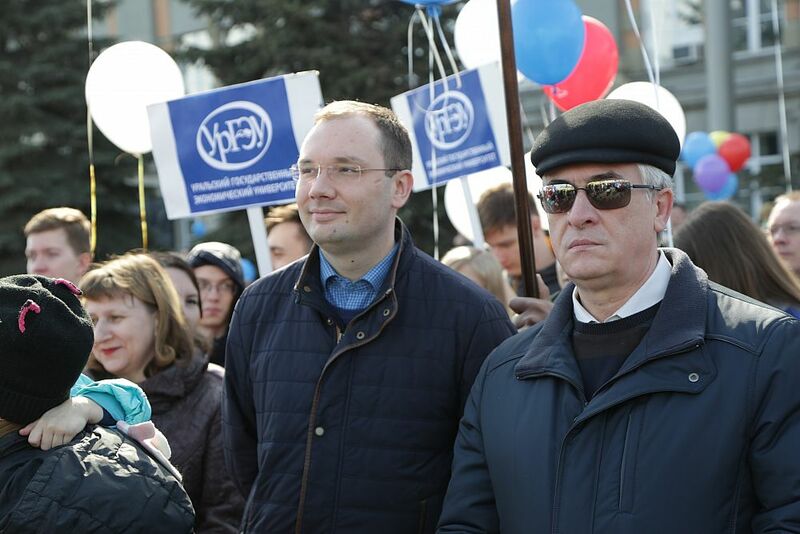 The demonstration gives a chance to go out with students, showing the readiness to continue working fruitfully in the future," Vladimir Lazarev, the deputy director of the Institute of Trade, Food Technologies and Service, says. Elena Sinitskaya, a first-year student, was in the USUE column on the May Day march for the first time. "May 1 is a professional holiday of trade unions. 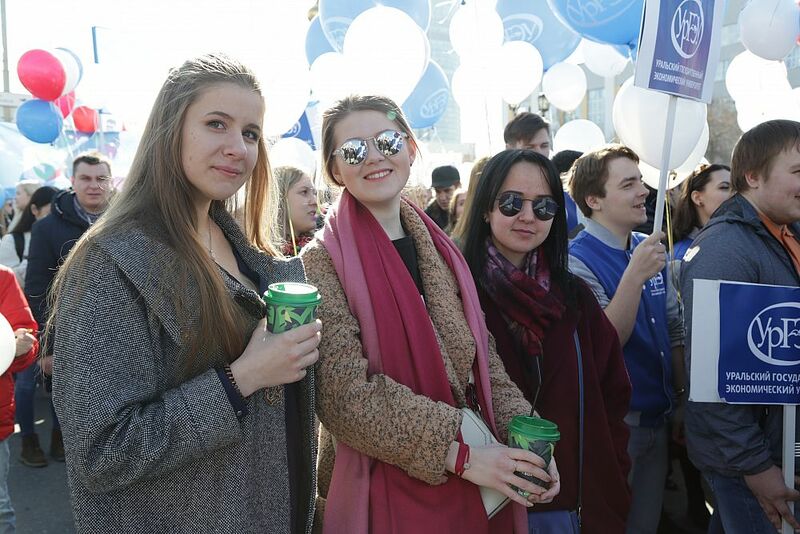 I represent here the trade union of students, we are about twenty people, we all have good mood, and we all really like it, it's fun," the student said. 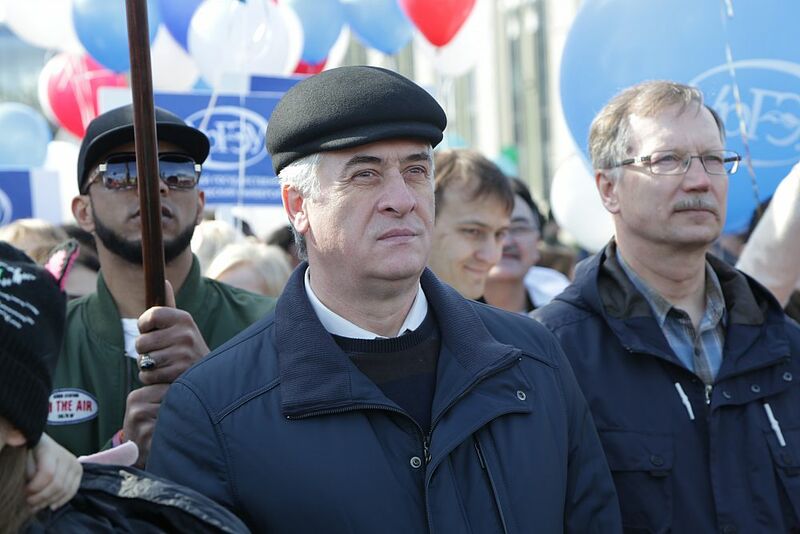 During the festive procession, we could not help but find out May Day impressions of the USUE Rector Yakov Silin . "The first of May is the Spring and Labor Day, the birth of new hopes and goals that are rarely could be realized with a wave of a magic wand. To implement them, you need to work hard and students should successfully study. Conscientious work and good education are a reliable foundation for the successful development of every person and society as a whole. May 1 is also a holiday of unity of people. Look at these happy, smiling people around. Their common successes make life better and create confidence in the future. 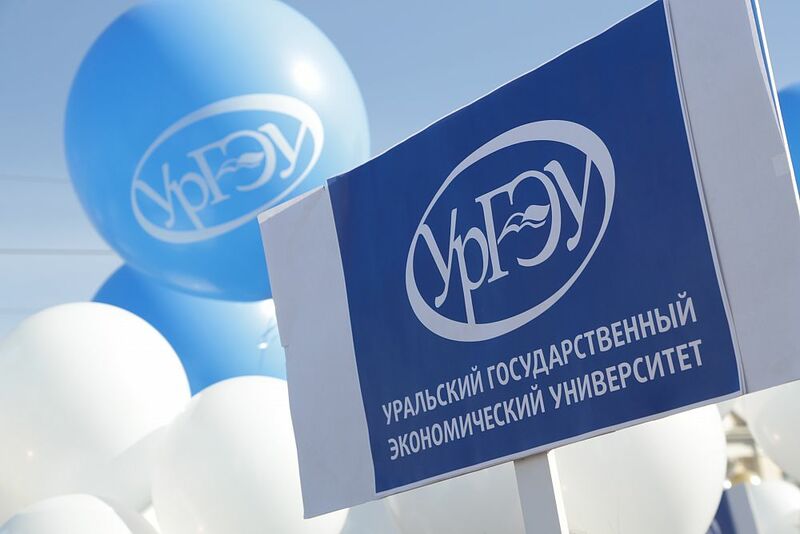 Only by joining the efforts of teaching staff and students, we will be able to make Ural State University of Economics remain one of the best economic universities in the Urals and Russia," Yakov Silin said. 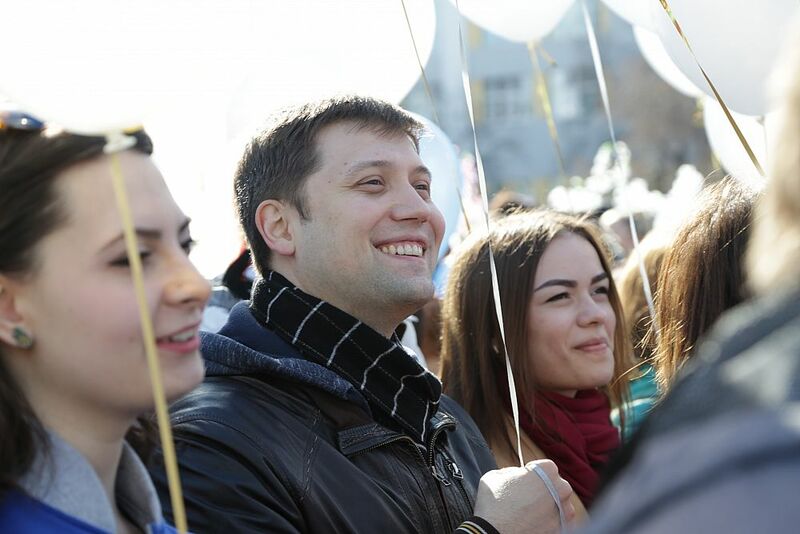 “ I wish the staff of the University all the best: health, happiness, spring mood! Let all good beginnings get a worthy continuation! "